Recent research has shown that chiropractic care is extremely safe for babies and children. As a result, more children and families are having their spine and nervous system examined by chiropractors. The Journal of Science and Healing reported on a study of 577 children under the age of 18 receiving chiropractic care. The study showed that parents reported a high rate of improvement in their children presenting with health issues with the most common symptoms of muscular conditions, ear, nose, throat, respiratory and digestive issues. They also reported better sleeping patterns, improvements in behavior, and stronger immune systems while under chiropractic care. While there are many conditions that respond to chiropractic care as indicated in this research, chiropractic care does not treat these conditions. The conditions respond because of the increase in the body’s ability to fight infection, resist dis-ease and heal itself when the spine is aligned and the nerves are working properly. At the same time many parents who used to give prescription and over the counter drugs routinely to their children are stopping to think twice before doing it again. Why? Here are a few reasons to consider. Children’s bodies process medication differently than do adults. During debate and discussion about off-label prescribing, which is the practice of prescribing medications to children and extrapolating from an adult does to a pediatric dose, The Director of the Food and Drug Administration’s Office of Pediatric Therapeutics stated, “We found out that you can’t predict how kids are going to handle things.” The Government Accountability Office concluded that only about one-third of the drugs prescribed have been studied and labeled for pediatric use. This is a very dangerous practice. The families that are choosing chiropractic care and opting for alternatives to medication as a first response to symptoms and conditions are enjoying both short term and long term perks of their positive choices. Regardless of who in the family is seeking relief from conditions, everyone in the family benefits from improved immune systems, better digestion and restful nights. Lifestyle Care can make a huge difference. Our office offers Chiropractic Care to people of all ages and sizes including infants and children. 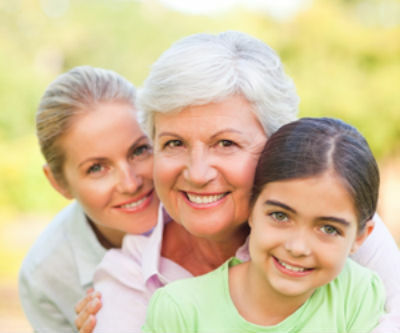 We are trained to provide you and your family with great, quality care. The adjustments are specific to the individual. The adjustments given to a newborn are not the same as the ones given to a 4 year old sibling and the adjustment for a 12 year old will differ from the one the parent just received. Everyone in your family could benefit from a chiropractic check-up. Through your examination, we will determine if you are a candidate for care and if your spine and nervous system has been compromised. Contact us today to schedule your appointment.